Fact-check: Did Median Incomes Hit a Record Level in 2017? 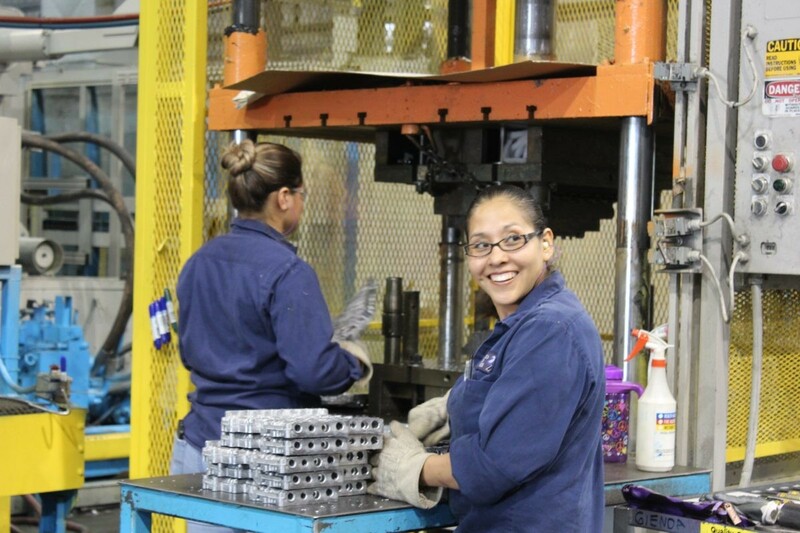 Trace Die Cast workers make auto parts used in Ford and GM vehicles. Photo: Becca Schimmel/Ohio Valley ReSource. Politicians often point to the success of America’s middle class as a barometer for the health of the broader American economy. Is this accurate? We will give context for the party’s claim of credit for the Trump administration, but our fact-check is looking solely at the numbers. According to an annual study published by the U.S. Census Bureau in September 2018, the U.S. median income was $61,372 in 2017, a 1.8 percent increase from the previous year after adjusting for inflation. 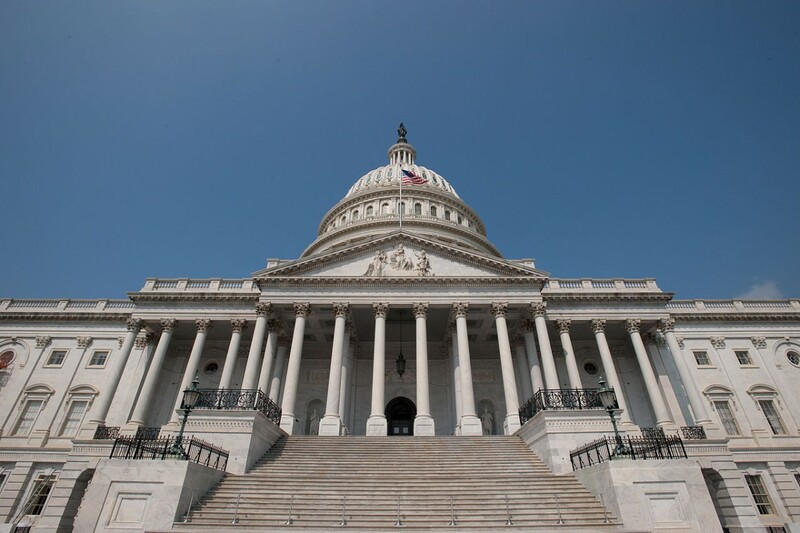 The new level of $61,372 represents a record high since the statistic has been recorded, although the inflation-adjusted figure has come close a few times in the past, census data shows. In 1999, for instance, inflation-adjusted median household income reached $60,062, and in 2007, shortly before the Great Recession, it reached $59,534. As we have frequently noted, economists say that presidents don’t deserve either full credit or full blame for employment trends on their watch. The president is not all-powerful on economic matters; broader factors, from the business cycle to changes in technology to demographic shifts, play major roles. Indeed, between the beginning of the post-Great Recession recovery in 2010 and 2016 — a period when President Barack Obama was exclusively in office — inflation-adjusted median income rose by about 9 percent. Taking into account the longer period of time, that’s a little slower than 1.8 percent annual increase under Trump, but it’s not dramatically different. So the bump in median income under Trump is largely similar to the trajectory under Obama, rather than representing a major turnaround. That undercuts the argument for crediting Trump exclusively. According to the U.S. Census Bureau, median household income did rise to a record high in 2017 of $61,372. The party is on far less certain ground when it credits Trump, who, like any president, deserves some — but hardly all — credit for the economy’s performance on his watch. Looking solely at the numbers, though, the statement is accurate. We rate it True. This story was originally published by PoltiFact and was produced through a partnership between PolitiFact and the West Virginia University Reed College of Media. The SNAP rules require 80 hours of work a month and cap assistance at three months over three years. This applies to able-bodied adults without children. The rules have been around for a while but hadn’t been enforced until recently. “Those requirements were waived for several years during the recession and that was pretty much true across the entire country. And then slowly as the economy has improved, you know, a number of states have begun reinstating those stricter requirements and benefit limits,” said Elaine Waxman, a senior fellow at the non-profit Urban Institute and an author of the report. The pending rules would make it more difficult for states to get a waiver. She said Kentucky offered a “natural experiment” to show the impact of putting the work requirements into effect. She said the study explored the difference between eight Kentucky counties that retained the waiver and the surrounding counties that did not. Both groups have similar high rates of poverty and unemployment. Waxman said the counties that retained the waiver were part of a federal pilot program called Paths 2 Promise, which provides SNAP participants with job training and other forms of support in eastern Kentucky. The different outcomes were pretty dramatic, she said. “What we see is that during that time the decrease in the waived areas is only about 2 percent of the whole SNAP caseload for this group, but it’s about 44 percent for the counties in the surrounding area. And that’s a huge difference,” she said. She said people who lose benefits often don’t have any source of income to cover the cost of food. 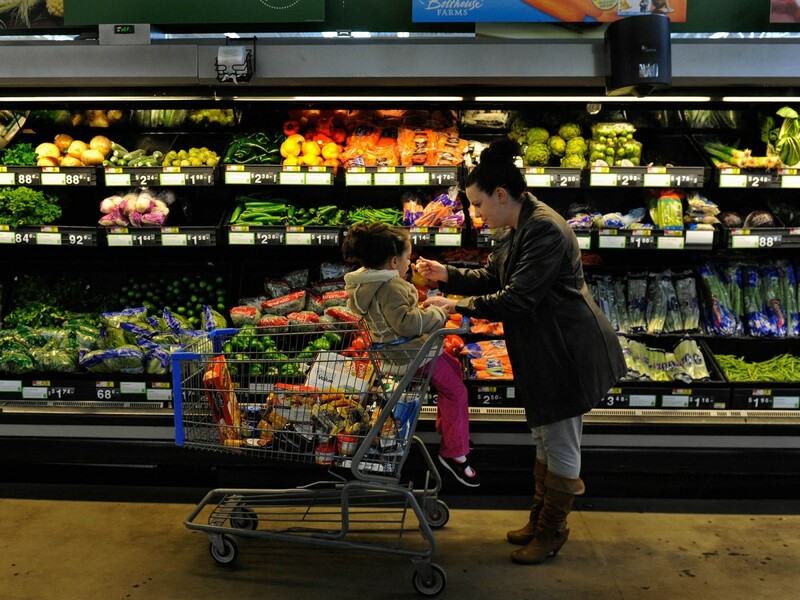 The report showed overall more than 13,000 Kentuckians lost SNAP benefits between 2017 and 2018. The comment period for enacting these restrictions across the country ends Tuesday, April 2. Several states are considering similar restrictions for people who qualify for Medicaid. Kentucky’s plan for Medicaid work requirements was rejected for a second time in court las week. General Motors has announced plans to close its plant in Ohio’s Mahoning Valley. But it’s not only jobs that are at stake. When the first car — a Chevrolet Impala — rolled off the line at the Lordstown GM complex near Youngstown, Ohio, in 1966, the Mahoning Valley was still a blue-collar haven. Steel mills operated around the clock, and factories, like Youngstown Steel Door and General Fireproofing, used their product for a variety of applications. Youngstown was also home to a bustling downtown with three movie theaters and two department stores, countless bars and restaurants, and a growing university, all serving a blue-collar community making enough money to be considered middle class. A little more than a decade later, this heyday came to a screeching halt. The mills closed quickly, throwing thousands out of work, with ripples affecting thousands more. An estimated 50,000 jobs were lost in a five-year span. The area’s population dropped precipitously, and its per capita income took an even more pronounced hit. Throughout the 1980s and 1990s, efforts were made to recreate manufacturing jobs, as the region looked for a magic bullet in the form of a blimp factory, a Pentagon payroll center, and the auto industry. Through it all was a common refrain—a reassurance, even: at least we still have the GM plant. But we may not be able to say that much longer. On Monday, General Motors announced plans to “accelerate its transformation for the future, building on the comprehensive strategy it laid out in 2015 to strengthen its core business, capitalize on the future of personal mobility and drive significant cost efficiencies.” According to this plan, the Lordstown plant—along with facilities in Detroit; Warren, Michigan; Oshawa, Ontario; and outside of Baltimore, Maryland—will be “unallocated.” Practically, this means the loss of 1,400 jobs in the valley, in addition to nearly 3,000 recently lost. It also means the end of an era. Like Sheet & Tube a generation earlier, GM was more than a place to work; it was a point of pride. Tim Ryan, the Congressman whose district includes Lordstown and most of Trumbull County, likened the news to “another Black Monday.” That’s a deliberate choice of words. Black Monday refers to the day, in 1977, when Youngstown Sheet & Tube—at the time the largest steel producer in the Mahoning Valley—announced it would close its larger mill at the end of the week, throwing 5,000 people out of work. It was the beginning of the end of the steel industry in Mahoning Valley, and a line of demarcation in the region’s history. For me, the Lordstown GM plant has always represented home. After I grew up and moved away, the sprawling complex, visible from the Ohio Turnpike, meant I was nearing my parents’ house on the west side of Youngstown. Even now, I still drive past the plant a couple of times a month. For those of us with a connection to the Valley, the anticipated closing of the Lordstown plant represents more than just the loss of jobs, as devastating as that reality is; it means the loss of an institution. A rare confluence of factors made the Mahoning Valley—a regional corridor consisting of Youngstown, Warren, and a series of nearby towns—a destination in the early twentieth century. Iron ore, slag, coal and limestone, all readily available in Northeast Ohio, gave rise to the steel industry, and railroad service made shipping convenient. (At one point, Youngstown was served by four trunk line railroads, which was unheard of for a city of its size.) The open hearth mills that grew up along the Mahoning River needed thousands of laborers, and Youngstown’s population, bolstered by waves of immigrants, swelled from 40,000 in 1900 to 120,000 in 1920. And so, in 1966, a swath of farmland in Lordstown became an auto assembly line stretching six-tenths of a mile—going “from fields to wheels,” as promised at the groundbreaking. Initially, the plant hired about 5,000 workers but received more than 35,000 applications. The plant started out making Impalas and Pontiac Firebirds. A van line was added in 1970. But it soon became the site for the assembly of small cars—beginning with one of the biggest disasters in General Motors history. The Chevy Vega was a subcompact, intended to combat the smaller cars coming in from Europe and Japan. It featured a revolutionary cast-aluminum engine and was designed with the aid of computer-assisted drawing. The Vega was named Motor Trend car of the year for 1971, but its flaws were numerous and came to light quickly. In addition to an anemic engine, rustproofing was an issue. I can recall seeing many Vegas on the streets of Youngstown in my youth but the car has virtually disappeared, unmissed from American roads. While assembly of the Firebirds and Impalas came at the rate of 60 vehicles per hour, the plant needed to pump out 100 Vegas per hour to maintain a healthy profit margin. The speed of construction at Lordstown was expected to be maintained despite layoffs. Laborers filed grievances (more than 16,000 at one point) and, in 1972, went on a 22-day strike that was described as an “industrial Woodstock”—a watershed moment in labor relations with effects throughout the country. My cousin, who is older than me, said the Youngstown of his youth—in the 1950s and ‘60s—was a “get tough or die” kind of place, albeit a prosperous one. The Mahoning Valley of my younger years was just as rough-hewn, but it was also a tougher place to make a buck. The great conundrum of my life is that I am who I am because I grew up in Youngstown—and every ounce of success I’ve had in my life has come because I left. The Mahoning Valley struggled in the late ’70s and early ’80s. The closing of the mills left virtually no sector of the local economy unscathed. With no big medical plans for steelworkers and their families, hospitals cut beds; school districts, accustomed to buying new textbooks every year, suddenly had a hole blown in their budgets; the city’s two downtown department stores closed, undone by changing shopping habits and a lack of disposable income in the community. Restaurants closed, as going out to eat became an unaffordable luxury. The city used to have an amusement park, built in 1899 at the end of a trolley line. It lasted longer than most trolley parks because it had tied its fate to company picnics and picnics for various churches and ethnic groups. When the companies dried up, it was only a matter of time until the park did too. It limped along until 1984, when a fire forced its closing. We tried everything to make up for the lost jobs—even as a child, I was part of the effort. My second-grade class was part of a letter-writing campaign to lure General Motors’ new Saturn division to the Mahoning Valley. Instead, it went to Tennessee. Employment at the Lordstown plant peaked at around 12,000 in the mid-1970s, but as late as the mid-Nineties it still employed more than 10,000. (By comparison, total employment at Sheet and Tube was around 9,000, between the two big mills and their corporate headquarters.) And they were good paying jobs, enabling solid middle-class lifestyles in Youngstown or one of its suburbs. In an area like the Mahoning Valley, there’s a playbook for events like the Lordstown closure. Things didn’t look good for the plant in the late 1990s. General Motors flirted with bankruptcy at the beginning of the decade. The van plant closed in 1992. Local political and union leaders embarked on a “Bring it Home” campaign for General Motors to continue building cars at Lordstown, first the Chevrolet Cobalt and then the Cruze. The plant’s been on borrowed time since. For awhile, rising gas prices kept up demand for the smaller vehicles; three shifts employed a total of around 4,500 people. Then the Great Recession hit, forcing GM into bankruptcy. The recession also dropped gas prices below $2 per gallon, further sinking demand for smaller cars. Third shift was eliminated, then second. By the time GM announced this week that it would discontinue production of the Cruze, there were fewer than 1,500 employees still working at Lordstown—a third of the number of workers there when it opened more than half a century earlier, and a mere sliver of the 12,000 who worked it in the ’70s. More than 40 years after Black Monday, the Mahoning Valley hasn’t recovered. It’s shrunk drastically, even compared to other regions in the Rust Belt. An area that once boasted one of the highest home ownership rates in the country has recently been searching for funds to tear down abandoned houses; Youngstown City Schools, one of the poorest districts in Ohio, has been taken over by the state. Last year, Donald Trump held a rally in Youngstown at the Covelli Centre, an arena built on the site of a former steel mill. “Don’t move, don’t sell your house,” he told a crowd of residents. “We’re going to fill up those factories or rip them down and build new ones.” He had made promises like this before, and a lot of people in the Mahoning Valley, long a Democratic stronghold, believed him; despite warnings from union officials, he carried Trumbull County in the 2016 election, and narrowly missed carrying Mahoning County as well. But he has become just one more in a long line of politicians and businessmen who promised more than they could ever deliver. Trump didn’t kill the Lordstown plant—decades of decline had weakened it to the point of breaking—but his administration’s policies ultimately made the final decision easier for GM. Tariffs ate into the company’s profits, and, all things being equal, a bigger car makes more profits than a smaller one. Trump’s administration also froze fuel efficiency standards, which took away the incentive to produce smaller cars. 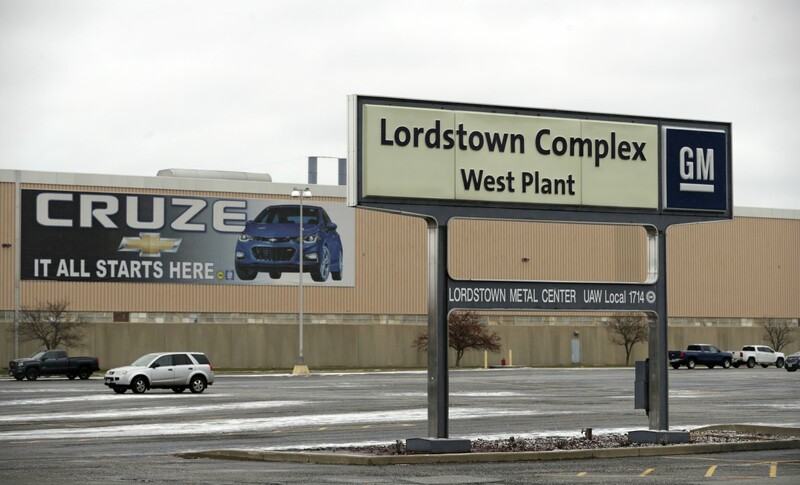 In an area like the Mahoning Valley, there’s a playbook for events like the Lordstown closure: It will start with entreaties to General Motors for another product in Lordstown; maybe the plant won’t shut down permanently. If it does, people with the economic wherewithal will leave; those who don’t—or who feel a sense of obligation to family or the Valley itself—will stay. The places immediately around the plant, where people would go for a cup of coffee on the way in or a beer on the way out, will close up, or at least find it harder to make a go of it—as will the rest of the town. The “unallocation” of the Lordstown plant isn’t the body blow Black Monday was, but for those of us with ties to the region, it makes optimism—already in short supply—even harder to come by. This article was originally published by Belt Magazine.